We are able to bring containers to your home and pack them there. They are then transported to the warehouse where they are forklifted off and stacked until such a time as you request them. They are then re-loaded and delivered to your new destination. We also offer conventional storage in our warehouse. A full inventory is made of any items coming into store and stored with us. We offer storage in steel shipping containers for a load yourself storage option. This means we arrive at your destination and drop the container for you to load. We then collect the container when you have finished loading. 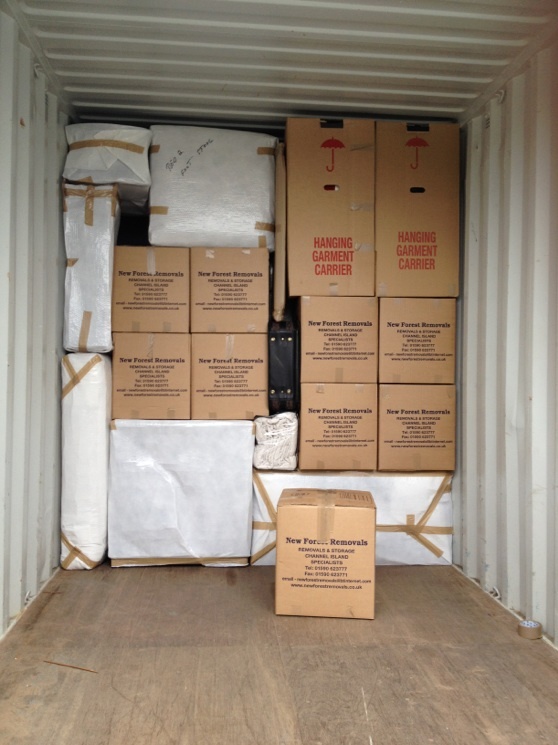 If you require our qualified staff to help you load the container for you this can easily be arranged. Alternatively, we offer a self storage service at our yard, where you load your own container and seal and lock the container yourselves. Whether you require small or large storage containers, just give us a call and we will arrange the best possible solution. If you would rather load the smaller wooden containers yourself, we also offer a service where we drop our self store container in your drive for you to load. This way you can organise yourself and load at your leisure or call for more if you need it. We will then collect the containers after you have locked them and return to our depot where they are kept secure until you need them.